As many municipalities wait to be chosen as a Google Fiber city or get AT&T’s GigaPower service, some are actually going into the ISP business themselves. We talked about Chattanooga’s public gigabit service a while back, and now a similar initiative is on the drawing board in San Francisco. Local governments increasingly feel fiber-optic Internet service is a public utility offering many advantages to both residents and the business community. In short, they aren’t going to wait years for private sector providers to install fiber in their city. 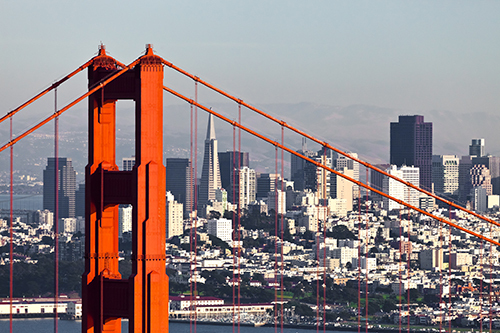 Let’s take a closer look at what’s happening in San Francisco. Earlier in March, San Francisco announced the creation of a government panel charged with exploring the creation of a private-public partnership to build a gigabit fiber optic Internet network in the city by the bay. This announcement is hot on the heels of the February news of a potential Google Fiber installation built in partnership with the city. San Francisco remains one of the more conspicuous absences from the “Fiber City” listing. At the heart of the municipal network question is whether Internet service is a utility or an on-demand service offered by a private company. Farrell believes the former to be true and hopes to create a private-public model to build the network in the city, with an expected baseline cost to residents of $26 per month. A partnership with Google Fiber makes a lot of sense in this scenario. The Bay Area city is using Chattanooga, whose gigabit network is run by the city’s Electric Power Board, and Kansas City’s Google Fiber installation as models for its own service. Google is also entering into partnerships with local governments in Atlanta and Huntsville, Alabama. Expect these partnerships to be a growing trend, as municipalities forego waiting on the private companies to build gigabit networks on their own. Recently, Chattanooga began to offer a 10 Gbps Internet service to customers for a monthly price of $299. A plan to expand the city’s gigabit service to its suburbs was blocked by a law recently passed in the Tennessee state legislature. That law was overturned by a FCC ruling, which was then appealed by the state government. A federal court is currently hearing arguments on the case. Tennessee feels these public Internet networks make it difficult for private ISPs to compete. Ultimately, maybe the private-public partnership model works best for everyone concerned. Stay tuned to Bandwidth Place for more news about the expansion of gigabit Internet service across the country.